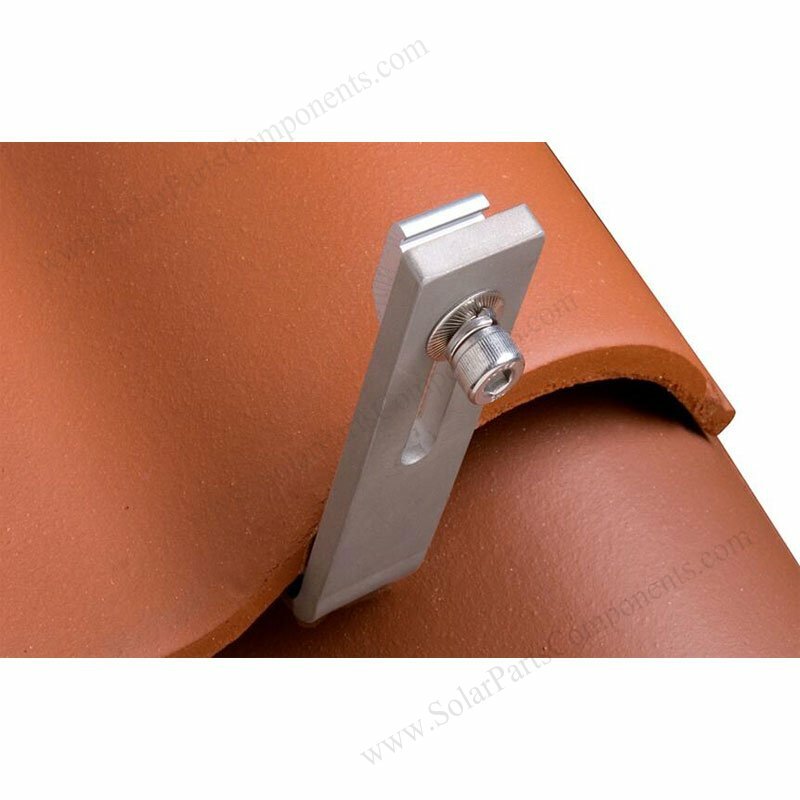 Our Solar Spanish tile roof hooks is weld free , elegant , can be adjustable of height according to thickness of clay tiles . 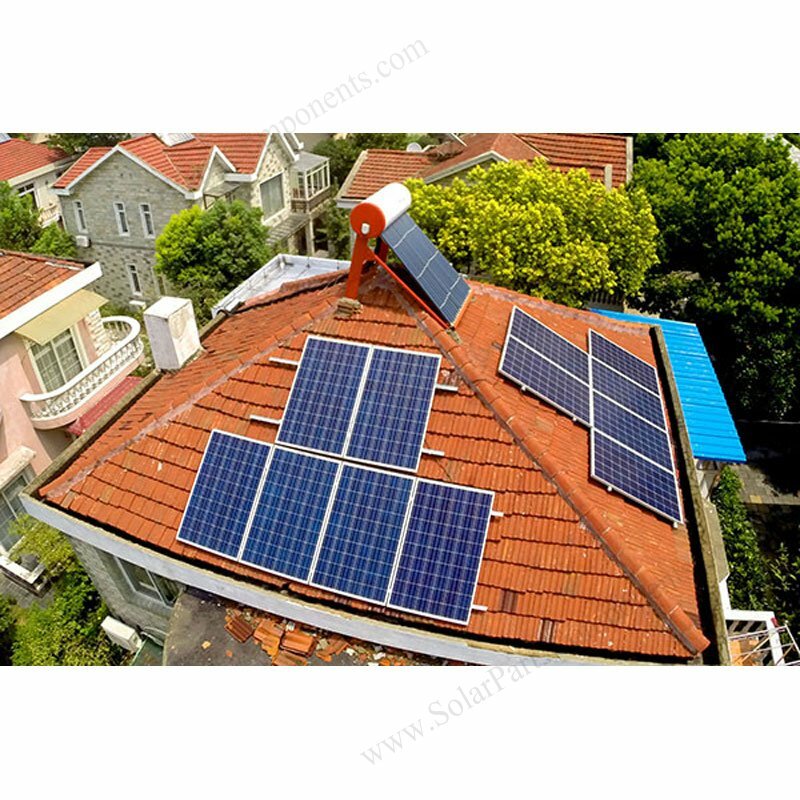 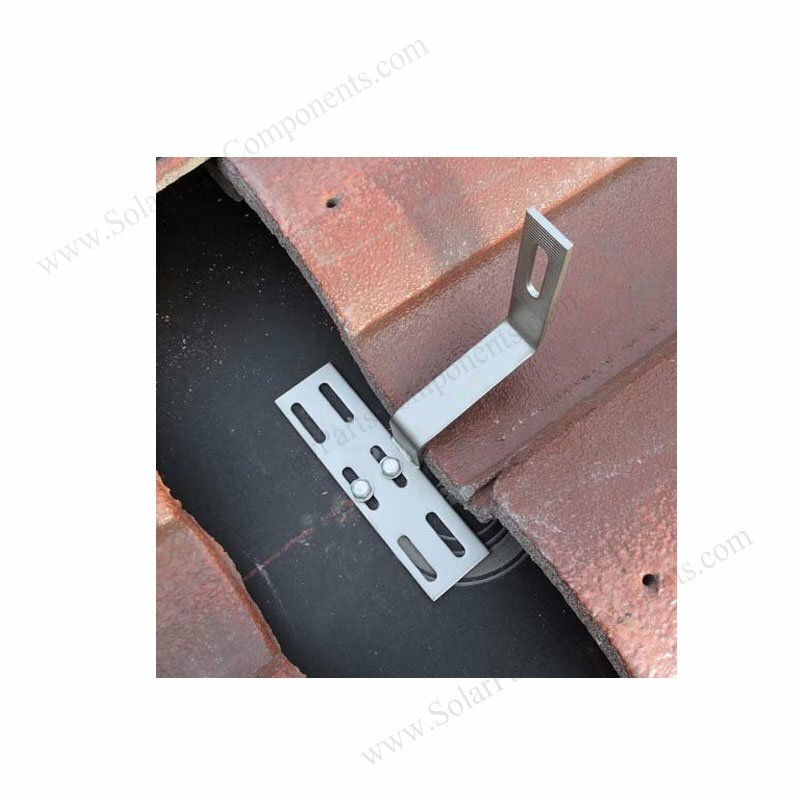 The installation of this curved tile roofing hook is bottom mounts which is parallel with solar panels . 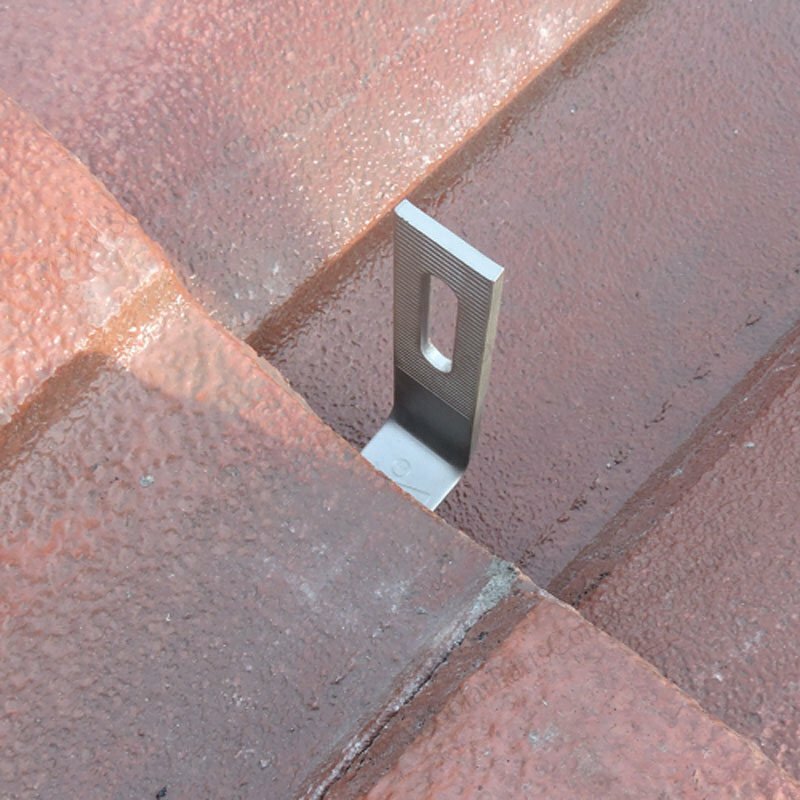 Our innovative and aesthetics design for Roman roofing hooks can prevent damage or cracking tiles for drilling free structure . 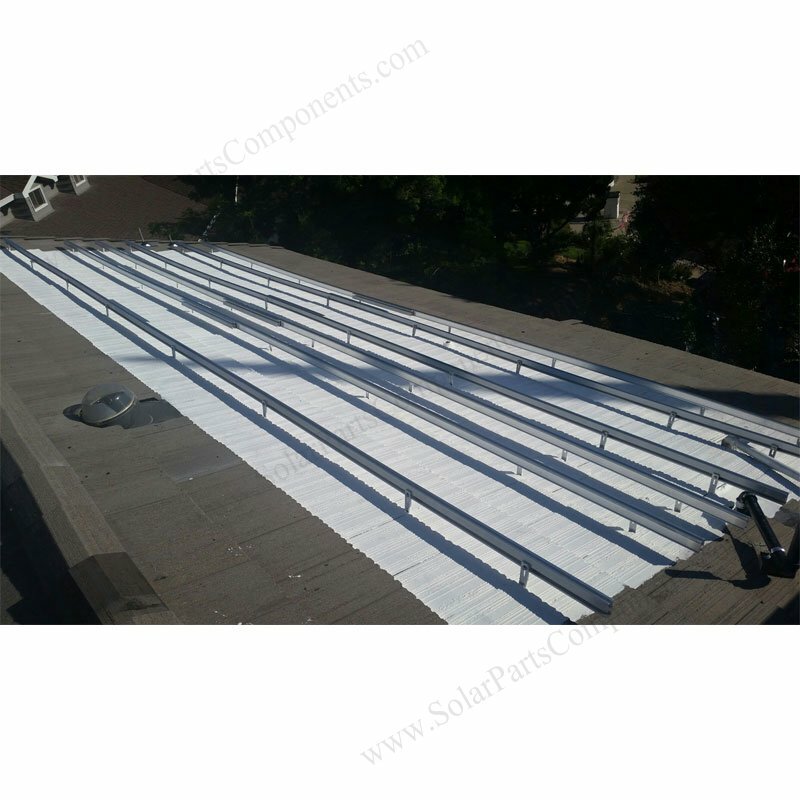 Don’t need cuttting or flashing in normal tile roof area . 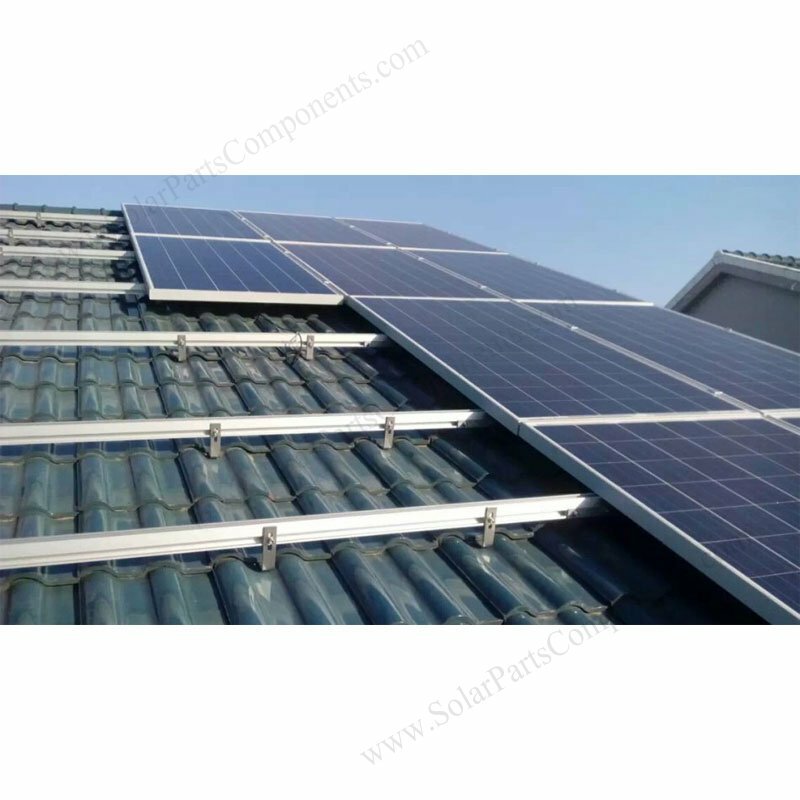 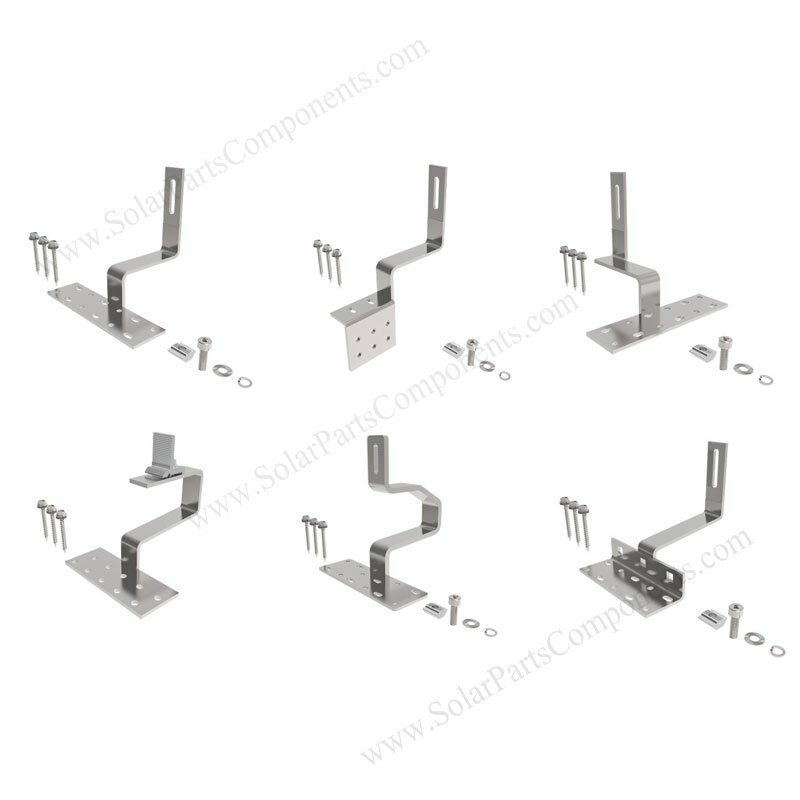 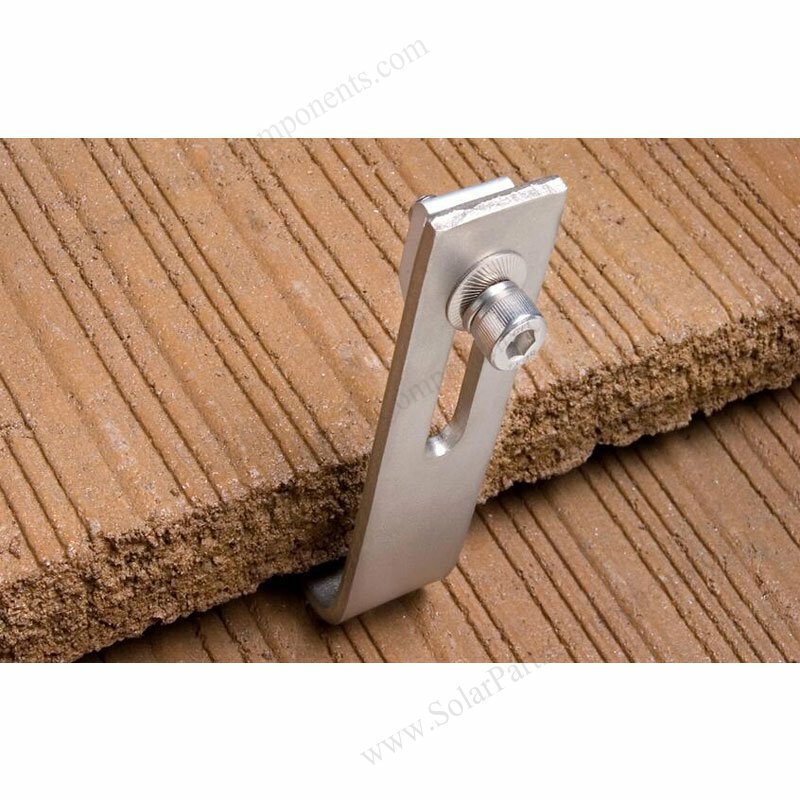 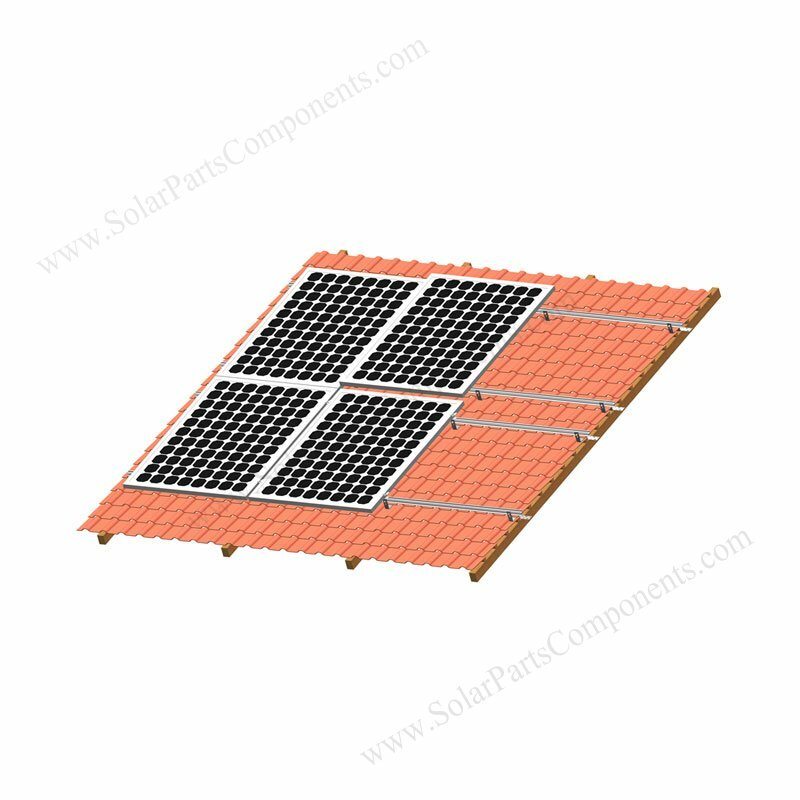 The slim flexible adjustability of solar hook base plate range from 10 mm – 15 mm can works on many different tiles : Roman tile, Spanish tile, flat tile other clay tiles . 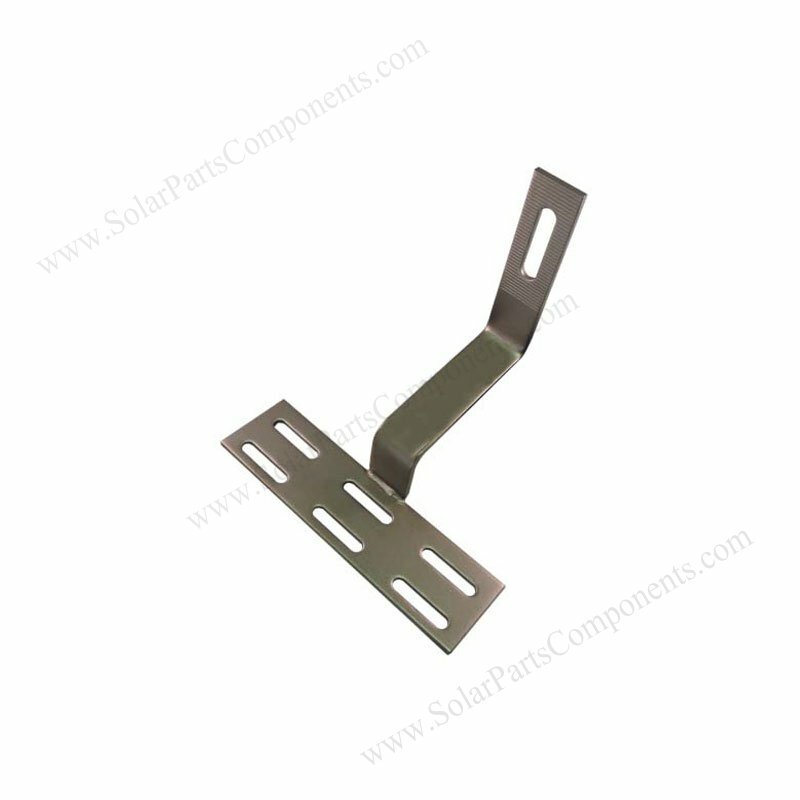 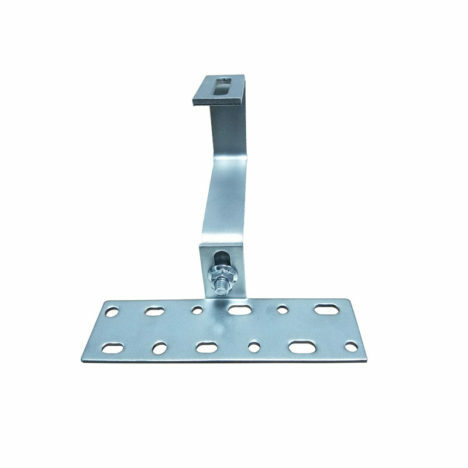 Spanish tile roof solar hooks for bottom mounting are strong, sturdy for solar pitched roofing projects . 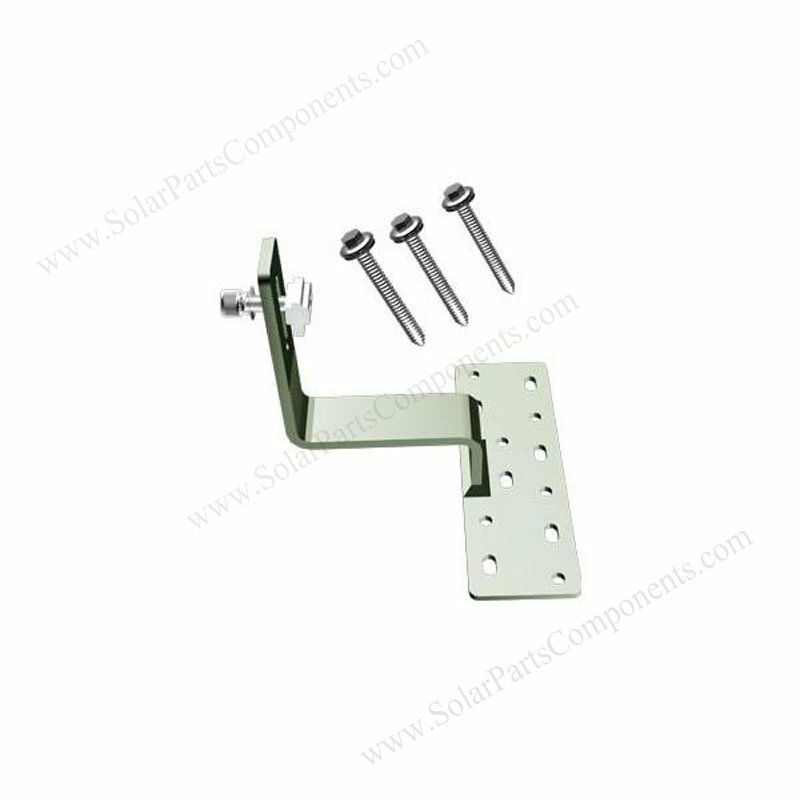 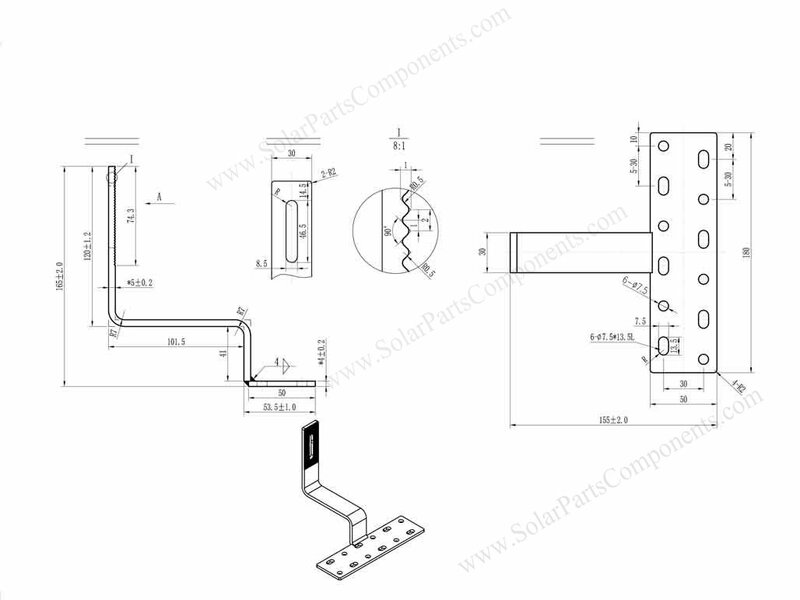 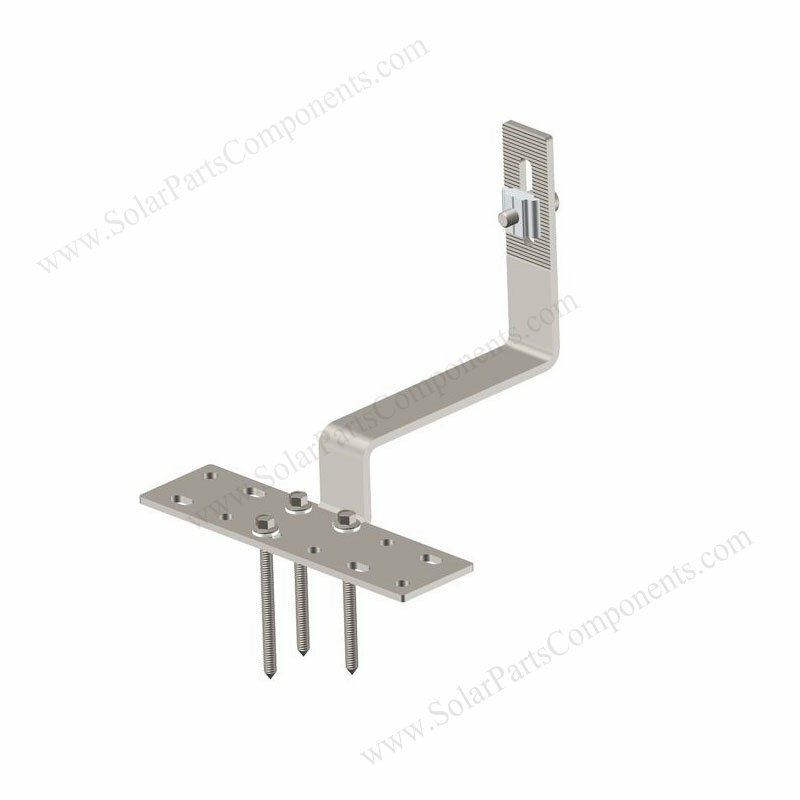 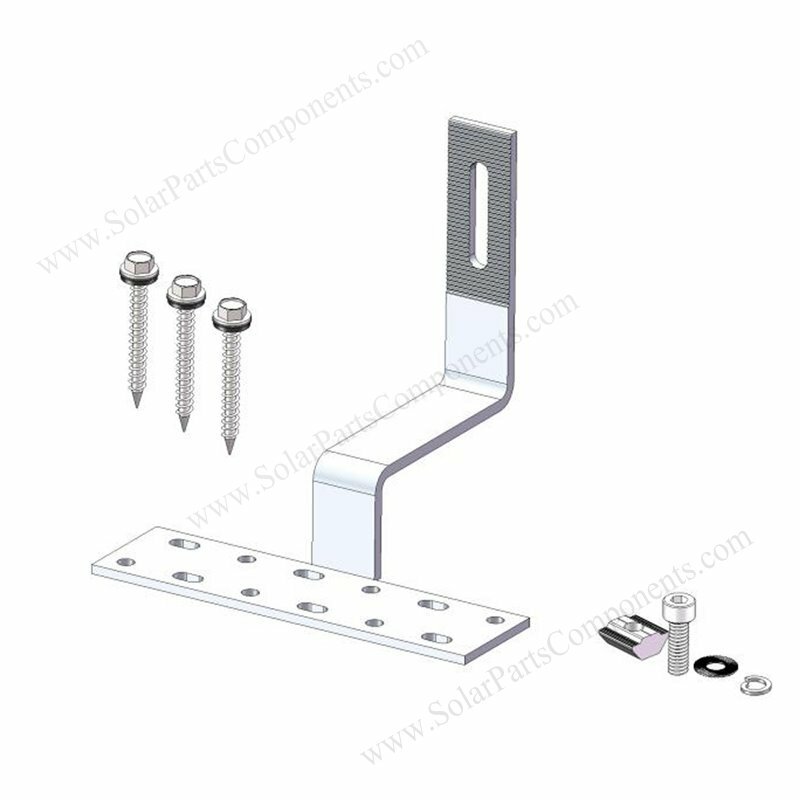 (4) 115 pound loading and uplifting capability for this solar hook . 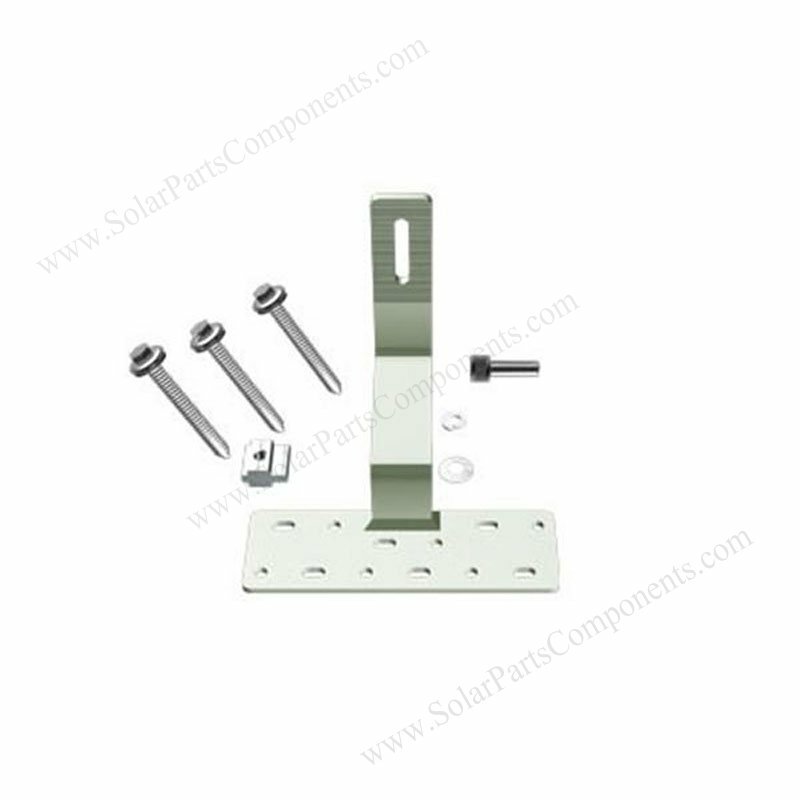 1 set of carriage bolt and nut .